Yet another area review recommended college merger could be in trouble – due to an argument about a name. Craven College and Shipley College emerged from their respective reviews intending to create a single Aire Valley College, along with the Keighley campus of Leeds City College. The plan, recommended by both the West Yorkshire and York, North Yorkshire, East Riding and Hull reviews, depended on the two colleges acquiring the Keighley campus from Leeds for a reasonable price. But Leeds principal Colin Booth has told FE Week he’s not happy that the campus – recently rebranded as Keighley College – has been given a new name. “I don’t think that renaming Keighley College as Aire Valley College would create a clearer identity,” he said. Instead, he believes the “best way forward” for it to “create a stronger reputation and identity for itself as Keighley College”. “There are many ways to create partnership working and less competition amongst the colleges along the Aire Valley,” he added. FE Week asked Mr Booth if he was opposed to the merger or just the name change, but he demurred. The three-way link-up was one of the more unusual mergers proposed during the area review process. According to last November’s report into the West Yorkshire review, which both Shipley and Leeds City colleges took part in, the creation of an Aire Valley College had been “an aspiration for the district for many years”. But it noted that the Shipley and Craven colleges “may require financing to secure the Keighley site” – although the actual cost “will need to be determined”. And the York, North Yorkshire, East Riding and Hull area review report said in August that the proposal depended on “the transfer of the Keighley College campus from Leeds City College on a financially feasible and acceptable basis”. John Grogan, the MP for Keighley, told a Westminster debate on 16-to-19 funding earlier this month that “Leeds City College seems to be holding out against” the merger and was “putting a high price—possibly above £20 million” on the Keighley site. He requested a meeting with skills minister Anne Milton to discuss the issue, but told FE Week this week that the meeting hadn’t yet gone ahead. FE Week put Mr Grogan’s comments to Mr Booth, but he did not comment on them directly. Both Craven and Shipley colleges told FE Week that they remained committed to the creation of Aire Valley College – assuming the price was right. A Shipley spokesperson added that it was “actively working with the other college corporations, the West Yorkshire Combined Authority and FE Commissioner to develop an appropriate, sustainable further education offer in the district”. But neither college had a comment on Mr Booth’s objections to the college’s name. 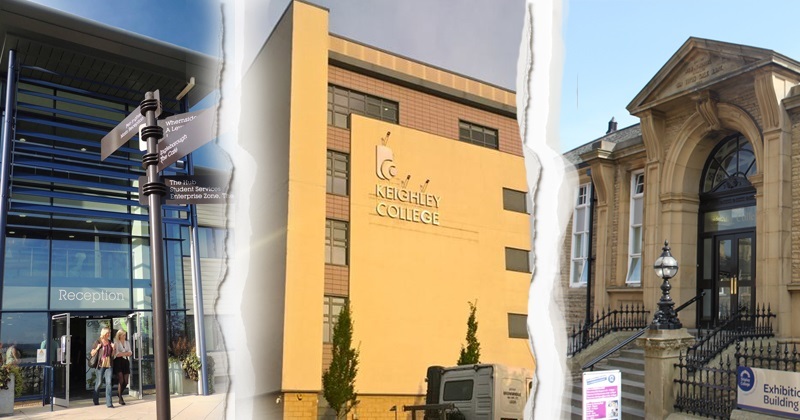 Keighley College had previously been known as the Keighley campus of Leeds City College, but in early 2016 was rebranded as Keighley College – although it is still being run by Leeds. The college has its own website, separate from that of its parent, launched at the end of last year. Keighley has been part of Leeds City College since it was formed in 2009 through the merger of three local institutions. It was last standalone in 2007, when it merged with Leeds-based Park Lane College. Other college mergers to have been cast into doubt recently include one between Barnfield College and Central Bedfordshire College, after one of their chairs made “regrettable” comments on local TV. And a proposed link-up between North Shropshire College and Reaseheath College collapsed in August amid accusations that the government was unwilling to provide the necessary funding.